It was the first day of school at Lakeview High, and everyone was afraid of something. Michaela Choi was afraid that Ethan Beck was never going to ask her out on a date. Andrea Beck was afraid that someone would find her weak spot, the chink in her armor. She was afraid of knowing what it was herself. Principal Downing was afraid she was going to die. Julie Reid was afraid that no one would notice her. She was also afraid that someone would. And there was a deeper, unnamed fear inside her that she couldn't escape — a fear that she was nothing and no one. . .
Yearbook is a captivating story about relationships and heartaches and fears and ideas and doubts and testimonies and everything that a teenage mind and backpack can contain. But most important, Yearbook is a novel about how everyone has something to offer and something to learn. Allyson Braithwaite Condie taught high school English in Utah and in upstate New York. Currently, she is employed by her two little boys, who keep her busy playing trucks and building blocks. She enjoys running with her husband, Scott, listening to Neil Diamond (really! ), reading, traveling, and eating. She lives with her family in Ithaca, New York. Guys i picked up this book at the library because it sounded chill. and i love it, I cant stop telling people about it and i will read it again. High School Like it really is. I loved this book because I was back in High School again, in a positive way. I felt like I was the kid on the school bus with everyone else, just trying to make it through the day. Great writing and a fresh perspective from each character kept me turning the pages. Condie made an out standing book! It's touching! The story is amazing! This story is heart breaking and heart warming all at once! Truly terrific! This book is phenomenal! The author creates characters that are real! I'd recommend this over Stephanie Myers books any day! This book shares the highlights and lowlights of life in high school and the lessons that you can learn about love, inspiration, friendship, kindness, forgiveness. BEST EVER haven't even read the next two but I look forward with the same excitement as a little kid going to Disneyland (and i still love disneyland). I found this book to be a fun read, one that is uplifting and enjoyable. The characters have a significant realism about them and the situations are extraordinarily honest. I appreciated the religious aspects without feeling like the point of the book was to convert everyone to the faith. I highly recommend it to any who teens and adults alike who are interested in a positive read and/or a brief trip down one's own high school memory lane. I LOVED IT!!!!! This is the best book! It shows highschool in a way that is true and interesting with a unique twist! I made all of my friends read it! I can't wait till I get my hands on the next one! Yearbook is one of my FAVORITE books ever!!! I love the storyline and where it goes. It was a great great GREAT book. I highly recommend it. This book is an insightful look into the teenage mind. Condie does an excellent job capturing the anxieties, fears, and hopes that I felt as a teenager. Oddly enough, I connected most strongly with the grandmother and Avery—two characters that couldn't be more different. Condie maintains a fresh voice for each of the characters in the book which is a feat given the variety of characters involved. The interwoven plot lines drew me into the book, but the true beauty of Yearbook lies in the well-developed and loveably flawed characters. I highly recommend it. An Engaging Portrait of High School Life. I have read Yearbook several times now and find new things to enjoy each time. I have been out of high school for a little while, but Condie's writing makes me feel as if I've never left. This book is at times funny, touching, and engaging, with just the right balance of religious and everyday life. I highly recommend this book! As an English teacher, I'm continually searching for books to suggest to my students. Yearbook is now at the top of my list. It provided insight into youth today which they can connect to and helped me when adults can feel so out of touch. I don't know how she did it, but Mrs. Allyson Condie captured each individual personality and made them real. Yearbook made me laugh out loud, cry, and strengthened my testimony. I'm not loaning my book to anyone, because I think everyone should own their own copy. From the moment I started reading, the author's cunning and descriptive writing style put me right back in my high school experience. I could feel with Michaela the pains of wanting a boy to like you back, and I understood Andrea's drive to succeed, and I knew exactly what Avery needed to get out of her depression. Not only was it a page turner, it also made me think about all the deep ways in which we're all connected. I can't wait for book number two! Yearbook is a delightful, touching book. The author did an amazing job on the different personality's and interactions of the characters. I think this is a very well written book, and I can't wait for the next two books to come out! This book was a fun read! It brought back so many fun high school memories. I loved reading the story from all the different perspectives. A promising new author. I can't wait to read the rest of the triology. Wonderful Book by an Amazing New Author! I had the privilege to review Yearbook before it was available in stores. 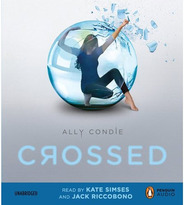 As a published author of teen fiction myself, I was amazed at how Allyson was able to tackle writing about a large number of characters with the highest level of skill and talent. 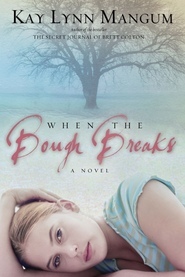 Her dialogue is 'true teen talk,' and each characters' situations are true to life. It's hard to believe this is her FIRST novel! I enjoyed this book immensely and would recommend it to all teens and young adults! (Adults, too!!) I am excited to see Book 2 in this trilogy come out — can't wait to find out what happens to everyone at Lakeview High next! !